Event registration has a number of advantages. Primary among these is the ability to keep track of how many people are coming so that you are adequately prepared for your guests. 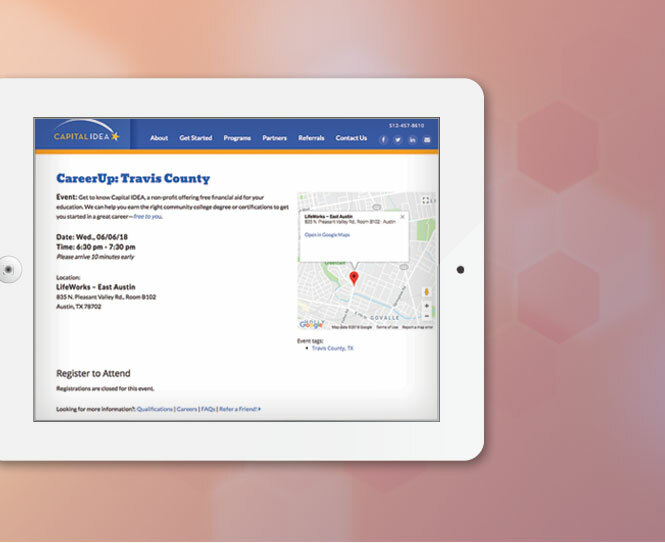 In addition, registration allows you to capture contact information, payments, and other data that can make it easier to build relationships with participants. However, manual registration can be time consuming and expensive. It requires manpower and resources that your business may not necessarily possess. That is why online event registration can be a useful part of your website development. There are a variety of event calendar and registration tools. In our web design and development projects, we have come across many approaches for integrating events to a website. For content management software like WordPress, there are a few established event calendar plugins that can be installed and customized to display an event calendar in a month or list style format. 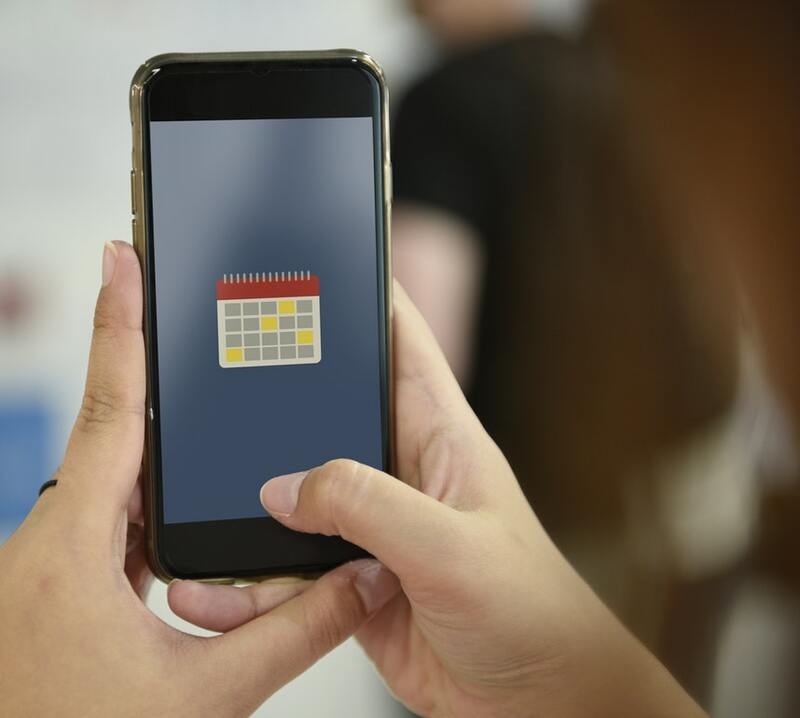 With the help of additional payment services and a developer, these calendars can be configured, customized and extended to provide a robust online registration experience. There are also services that offer ticket-based event management, such as Event Brite, Cvent, TicketSpice, SignUpGenius, and TicketBud. These types of services offer a platform for you to build and market your events that is separate from your website. You can still display information about your events directly on your website, but users would click a link to visit the third party site to actually register. Some of these types of event registration services require a subscription fee, or they may charge a transaction fee for each registration. Customization of your events are limited to the features the platform offers. You can also approach event marketing with a custom developed application. Experienced web developers can create scheduling systems and unique calendar interfaces that are mobile responsive. Online event registration allows you to collect customized data. Some pieces of information, such as names, phone numbers, and email addresses, are necessary for every type of event. However, other bits of data may or may not be needed, depending upon your business, event, preferences, and marketing goals. Building online event registration into your website development means that you can customize the data you collect. For example, perhaps you want to gather demographic information about attendees to help you craft personas of your target audience. Or maybe you want to keep track of who your event attracts year over year. Online event registration allows you to tailor registration forms so you can get whatever information you need to reach those goals. Online event registration allows you to easily manage event preparation. Building online event registration into your website development allows you to also build convenient event management into your website. Instead of simply allowing you to collect data on guests who plan to come, it also allows you to track other details of their attendance. For example, you can keep track of RSVPs and cancellations in real time, allowing you to adjust your expectations and plans accordingly. You can collect payment before the event, offer early bird discounts, and build pictures of demographics before the event even starts. And that means you can more easily prepare for, earn money from, and market to your event’s participants. Building online event registration into your website development is convenient for guests. Of course, online event registration as part of your website development doesn’t just present a benefit for your business. It can also be a boon for your event participants, too. For example, in today’s digital age, they will almost certainly be expecting an online option for signing up for your event. Offering it to them can earn you guests who might otherwise have walked away if they had found it too hard to sign up. In addition, mobile-friendly online forms for event registration are easy and quick because they allow people to sign up from any device at any time. It also allows payments to be made online, and provides customers with a way to give you their demographic data before they show up at the event. While these benefits are good for guests, they are ultimately good for your business as well. Happy guests are more likely to create buzz around the event, potentially attracting more participants. And a web design that facilitates easy registration and payment means it is more likely that people will join your event, simply because there are no barriers to doing so. Online event registration allows for marketing efforts before the event. Allowing guests to register online through a customized web design also allows you to build a contact list that you can use for future marketing. The most immediate use of this list is to send participants information about the event beforehand. For example, send the bio of a speaker, allow people to sign up for workshops, or promote a raffle. However, this contact list can have ongoing uses as well. For example, you can send participants a thank you after the event, along with a special discount or deal. You could send the marketing materials designed to turn them into leads and customers, encourage them to sign up for emails, and more. When used correctly, the information you gather through online event registration can make it easier to market to participants before and after the event, in both the short and the long term. Online event registration costs less. Online event registration also costs less than does manual registration. While there is a cost to the web development required to set it up, this cost is probablya minimal and worthwhile investment, especially if it is part of a broader website redesign or set up. For example, online event registration gives you all of the advantages of manual registration, as well as the ability to receive electronic payments early, promote the event more broadly, and market to participants before the event begins. As a result, it can earn you more money from your event while costing less than an event management staff. Online event registration also lacks the costs associated with traditional registration. You do not need to pay someone to process all of the registrations, for example. These savings, combined with the potential to earn more money in advance of the event fromthe online registration, make it an appealing option financially for many websites. Building online event registration into your website development can lead to a less stressful event. Finally, online event registration can translate into an easier event, for both you and your participants. For example, you do not have to worry about long lines and long wait times (and correspondingly unhappy participants) as people get registered. You do not have to have people available to register attendees or take payments. And you do not have to have space for registration in addition to space for the event. Online event registration as part of your website development can be a smart idea. It provides a convenient way to gather customized data, communicate with participants, save money, reduce stress the day of, and more. If you want help setting up any aspect of your website, feel free to reach out to WEBii. Our professional web development team can help you to get the web design you want for your business and for your next event.